Manuscript submitted January 11, 2013; resubmitted February 19, 2013; accepted March 1, 2013. BACKGROUND: Dessert compositions may conform to diabetic diet when it contains low sugar or artificial sweetener to replace sugar. However, it is still questionable whether glycemic control in type 2 diabetes patients is improved by the use of diet-conforming dessert compositions. OBJECTIVE: To compare, in type 2 diabetes patients, the glycemic, insulin, and C-peptide responses to seven modified dessert compositions for diabetics (D-dessert) with the response to seven similar desserts of non-modified composition, used as control desserts (C-dessert). METHODS: Seventy type 2 diabetes patients were allocated to seven groups of ten. On three occasions, each patient received either the meal which consisted of bread and cheese, or the meal and D-dessert, or the meal and the respective C-dessert. Differences in postprandial glucose, insulin, and C-peptide were evaluated using analysis of repeated measures at 0, 30, 60, 90, and 120 min after consumption. RESULTS: D-cake and D-pastry cream resulted in lower glucose levels (8.81 ± 0.32 mmol/l and 8.67 ± 0.36 mmol/l, respectively) and D-strawberry jelly in lower insulin levels (16.46 ± 2.66 μU/ml) than the respective C-desserts (9.99 ± 0.32 mmol/l for C-cake, 9.28 ± 0.36 mmol/l for C-pastry cream, and 27.42 ± 2.66 μU/ml for C-strawberry jelly) (p < 0.05). Compared with the meal, D-cake did not increase glucose or insulin levels (p > 0.05), while C-cake did (p < 0.05). D-pastry cream increased glucose to a lesser extent than C-pastry cream (p < 0.05). Similar effects were reported for D-milk dessert, D-millefeuille, and D-chocolate on glucose, insulin, and C-peptide at specific timepoints. D-crème caramel showed no effect. CONCLUSIONS: Some desserts formulated with sugar substitutes and soluble fiber may have a favorable effect on postprandial levels of glucose, insulin, and C-peptide in type 2 diabetic patients. Desserts that produce a low glycemic response may be appropriate for type 2 diabetic patients, help them to adhere to dietary guidelines and improve their quality of life. Most desserts available to the general public have high sucrose content and thus are expected to produce a high glycemic response. Modifying composition, while preserving the hedonistic features of taste, texture and appearance, is the focus of current research on desserts for people with diabetes. One approach is to decrease sucrose content using replacements such as polyols (e.g. maltitol, sucralose and isomaltulose) , amylase-rich starch  and dextrins which are classified as soluble fiber [3, 4]. Apart from allowing the removal of sucrose, these replacements may reduce postprandial glycemia through a variety of mechanisms, one being digestibility or metabolic rate . For example, sucralose, which is 600 times sweeter than sucrose, is a non-metabolizable sweetener and hence non-caloric . Dietary fiber inhibits the enzymatic activity of a-amylase and increases the intraluminal viscosity of the digesta thus reducing the rate of digestion and absorption of available carbohydrate [7, 8]. The knowledge obtained on the effect of polyols and dietary fiber on glycemic control has not yet been widely applied to the development of desserts targeted to people with type 2 diabetes. A new series of desserts that mimic the organoleptic properties of others already on the market for the general public (e.g. crème caramel, cake, chocolate, fruit jelly, etc.) has been modified to replace sugar with sucralose and dextrins. Thus, these desserts are expected to have a low glycemic response in comparison with the non-modified desserts. The objective of this study was to compare the glycemic, insulin, and C-peptide response to a meal (a slice of white bread and a slice of low-fat cheese) or to a meal consumed with a dessert of modified composition targeted to people with diabetes. The dessert was either a D-dessert containing sucralose and dextrins or a dessert of non-modified composition used as a control (C-dessert). The study was carried out at the Diabetes Center of the General Hospital of Nikaea in Greater Athens, Greece. The study was approved by the hospital ethics committee and was conducted in accordance with the ethical standards laid down in the 1964 Declaration of Helsinki. Written consent was obtained from each subject before participation. All subjects were advised to refrain from taking their medicine in the morning of the test days. Basic demographic and clinical characteristics as well as recent lipid profile were also recorded (Table 1). Diet history was also obtained using 24-h recalls and subjects were asked to follow the same diet for one day before each of the subsequent experimental visits. All study participants had good glycemic control in terms of HbA1c (Table 1). Legend: Data are means ± SD or numbers. * In mmol/mol. Abbreviations: BMI – body mass index, C – cholesterol, caram. – caramel, HDL – high-density lipoprotein, LDL – low-density lipoprotein, hyperchol. – hypercholesterolemia, strawb. – strawberry, TG – triglycerides. The bread and cheese meal consisted of a slice of white bread (Kris-Kris, Elbisco, Greece) (24 g) and a slice of low-fat cheese (10% fat) (Fina, Milko Sverige, Sweden) (20 g). Seven D-desserts targeted to diabetic patients (Sweet and Balance series, Jotis SA, Greece) and the respective C-desserts intended for the general public (Jotis SA, Greece) were purchased from the local market. These were D- or C-milk dessert, cake, strawberry jelly, pastry cream, millefeuille, chocolate, and crème caramel (Table A1). Desserts were used in the meal formulation on the basis of recommended portion size and meals were standardized for weight for each pair of D- or C-desserts (Table A1). Participants were allocated to 7 groups of 10 subjects each. Following a 12-h fast, subjects from each group were assigned to receive the meal only, or the meal with the D-dessert, or the meal with the respective C-dessert. All meals were given out between 7:30 to 8:30 am and participants were asked to consume them within 10 minutes. Concomitant fluid intake was not allowed. Subjects returned to the hospital on a weekly basis until each subject had received each of the 3 treatments. Blood was drawn at 0 (fasting), 30, 60, 90, and 120 min after the consumption of each treatment. Serum samples were stored at -800 C until analysis. In this study design, comparisons can be made only for each pair of D- or C- desserts and the meal and not between all the desserts used. This is because the desserts were employed in meal formulation according to the portion size recommended by the manufacturer and meals were standardized for weight for each pair of D- or C-desserts (Table A1). If meals were standardized for energy or macronutrient content, a comparison between all the desserts would be feasible. However, this was not possible because the amount of dessert required for some meals would represent an unrealistic food consumption pattern, deviating substantially from the recommended or expected portion size. Serum samples were thawed at room temperature just before measurement. Serum glucose was measured with a Cobas Integra 400 plus biochemical analyzer (Roche, Switzerland). Insulin was measured using a human insulin ELISA kit (EZHI-14K, Millipore, USA). Sensitivity was 2 μU/ml, intra-assay coefficients of variation (CVs) were 4.6-7.0%, and interassay CVs were 9.1-11.4%. C-peptide values were measured using a human C-peptide ELISA kit (EZHCP-20K, Millipore, USA). Sensitivity for C-peptide was 0.2 ng/ml, the intra-assay coefficient of variation (CV) was 4.7% at 1 ng/ml and 2.9% at 3 ng/ml, and the interassay CV was 8.7% at 1 ng/ml and 5.0% at 3 ng/ml. The HOMA index of the participants was calculated using the following formula : HOMA = fasting glucose (mmol/l) x fasting insulin (μU/ml) / 22.5. The sample was considered adequate to achieve 99% power at a 5% significance level for a difference of one standard deviation (1 SD) between the groups for each biochemical marker. Power analysis was conducted with the statistical program G*Power version 3.0.10. For the statistical analysis of the results, mean values with standard deviation for glucose, insulin, and C-peptide were compared at each timepoint for the three treatments for the seven food items. Differences were evaluated by analysis of repeated measures using Bonferroni correction at a significance level of 0.05. Data analysis was performed with the statistical program SPSS, version 13.0 (SPSS Inc., Chicago, II, USA). The anthropometric characteristics, results of the biochemical analysis and HOMA index for the participants are presented in Table 1. The nutrient composition of the meals is illustrated at Table A1. In this study, differences in glucose, insulin, or C-peptide levels were evaluated separately for each of the seven desserts after comparing the three treatments. The comparisons involved a) means for overall postprandial responses (Figure 1, p-values provided in the text below) and b) means at specific postprandial timepoints (results shown under the "timepoint" column with the respective p-values in Table A2-A8). Figure 1. Mean postprandial glucose, insulin, and C-peptide levels (mean ± standard error) in type 2 diabetic patients after consumption of the three treatments (meal, meal+C-dessert, or meal+D-dessert) for each of the seven desserts. Means were calculated using analysis of repeated measures. Means that do not share the same letter are significantly different for the three treatments and for each dessert (comparisons only between the three treatments for each of the seven desserts) (a, b: p < 0.05). No differences in glucose, insulin, or C-peptide levels were reported after comparing the means for the three treatments (p > 0.05) (Figure 1). At specific timepoints, consumption of D-milk dessert with meal did not increase levels of insulin at 90 min and at 120 min or of C-peptide at 60 and at 120 min in comparison with meal consumption alone, but C-milk dessert with meal had an increasing effect on the respective insulin or C-peptide levels at the same timepoints (Table A2). No differences in glucose, insulin, or C-peptide levels were reported after comparing the means for the three treatments (p > 0.05) (Figure 1). At specific timepoints, consumption of D-chocolate with meal increased glucose levels at 90 min and 120 min and C-peptide levels at 90 min in comparison with meal consumption alone, while C-chocolate with meal did not increase glucose or c-peptide levels at 90 min or 120 min. In contrast, C-chocolate with meal increased insulin levels at 30 min and 120 min in comparison with meal consumption alone, but D-chocolate with meal did not affect insulin levels at the same timepoints (Table A3). D-cake consumption with meal resulted in lower glucose levels in comparison with C-cake consumption with meal (p = 0.047, Figure 1). Compared with meal consumption alone, C-cake with meal increased glucose levels (p = 0.003), but D-cake with meal did not affect glucose levels (Figure 1). C-cake with meal also increased insulin levels in comparison with meal consumption alone (p = 0.020), while D-cake with meal did not affect insulin levels (p > 0.05) compared with meal consumption alone (Figure 1). At specific timepoints, D-cake with meal did not increase glucose and insulin levels at 60 min, 90 min and 120 min and C-peptide levels at 120 min in comparison with meal consumption alone, but C-cake with meal had an increasing effect on glucose or insulin or C-peptide at the same timepoints (Table A4). C-strawberry jelly consumption with meal increased insulin levels in comparison with D-strawberry jelly consumption with meal (p = 0.022, Figure 1). After comparing the effect of the three treatments on the postprandial response of glucose, insulin, and C-peptide at specific timepoints, it was found that D-strawberry jelly with meal did not increase glucose levels at 30 min and insulin levels at 30 min and 60 min compared with meal alone, but C-strawberry jelly with meal increased both glucose and insulin levels at the same timepoints (Table A5). No differences in glucose, insulin, or C-peptide levels were reported after comparing the means for the three treatments (p > 0.05, Figure 1). At specific timepoints, D-millefeuille with meal caused a smaller increase in glucose levels at 90 min than C-millefeuille with meal in comparison with meal alone. D-millefeuille with meal did not increase levels of glucose at 120 min, of insulin at 90 min and 120 min and of C-peptide at 90 min and 120 min, while consumption of C-millefeuille with meal had an increasing effect on the respective levels of glucose, insulin, or C-peptide at the same timepoints compared with meal alone (Table A6). Consumption of D-pastry cream with meal caused a smaller increase on glucose levels (p = 0.049) than C-pastry cream (p = 0.003) when compared with meal consumption alone (Figure 1). At specific postprandial timepoints and in comparison with meal consumption alone, consumption of D-pastry cream with meal caused a smaller increase in glucose levels at 30 min and at 60 min than the consumption of C-pastry cream with meal. On the other hand, C-pastry cream with meal increased glucose levels at 90 and 120 min and insulin and C-peptide levels at 60 min in comparison to meal consumption alone, but D-pastry cream with meal did not affect glucose, insulin, or C-peptide levels at the same timepoints (Table A7). No differences in glucose, insulin or C-peptide levels were reported after comparing the means for the three treatments or for the specific postprandial timepoints (p > 0.05, Figure 1). This study aims to provide data that would assist with the choice of dessert for type 2 diabetic patients. The first important finding of the study was that the consumption of three D-desserts (cake, strawberry jelly, and pastry cream) may conform to type 2 diabetic diets. These D-desserts, when consumed with meal, exerted favorable effects on postprandial levels of glucose and/or insulin in type 2 diabetic patients. In particular, the consumption of D-cake and D-strawberry jelly with meal resulted in lower postprandial glucose (cake) and insulin (strawberry jelly) levels than consumption of the respective C-dessert with meal. When compared to meal, D-cake with meal did not increase glucose or insulin, while C-cake increased both biochemical markers. D-pastry cream increased glucose to a lesser degree than C-pastry cream (Figure 1). The second finding of the study was that the consumption of D-milk dessert, D-millefeuille, D-chocolate, D-pastry cream, D-cake, and D-strawberry jelly with meal did not increase postprandial levels of glucose, insulin or C-peptide in type 2 diabetic patients at specific timepoints compared with meal alone. However, consumption of the respective C-desserts with meal did increase the levels in question (Tables A2-A8). The third finding of the study was that postprandial glucose levels after consumption of D-cake, D-millefeuille, D-pastry cream, and D-strawberry jelly with meal were within the therapeutic goals of the American Diabetes Association (ADA) or International Diabetes Federation (IDF). IDF sets glycemic objectives that correspond to glycosylated hemoglobin HbA1c < 6.5% (chronic glycemia), namely preprandial capillary glucose < 110 mg/dl (or 6.1 mmol/l) and postprandial (1-2 h after meals) < 145 mg/dl (or 8 mmol/l) . The ADA guidelines propose as therapeutic target HbA1c < 7 % (chronic glycemia), preprandial levels of glycemia of 70-130 mg/dl (or 3.9-7.2 mmol/l), and postprandial < 180 mg/dl (or 10 mmol/l) . According to these targets, postprandial (60, 90, and 120 min) glucose levels after consumption of four D-desserts with meal were within the therapeutic goals set by ADA (cake, millefeuille, pastry cream) or IDF (strawberry jelly). In contrast, the consumption of respective C-desserts with meal resulted in postprandial glucose levels that did not conform to these goals (namely cake at 90 min, strawberry jelly at 90 min, millefeuille at 90 min, pastry cream at 60 min) (Tables A4-A8). The positive effects of some D-desserts on postprandial glucose, insulin, or C-peptide control may be attributed to their modified composition. 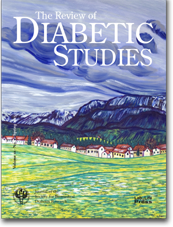 Literature reports support the choice of sucralose, polyols, and dextrins in the formulation of desserts that may be directed to people with diabetes. Sucralose and the polyols xylitol and maltitol, used as sweeteners, can be beneficial for controlling glucose uptake in clinical trials in people with diabetes [12, 13]. Current scientific research also focuses on the potential effects of artificial sweeteners like sucralose on appetite and the secretion of gastrointestinal satiety peptides. In previous studies, sucralose ingestion did not affect the secretion of gut hormones GLP-1, PYY, or ghrelin. These results imply that sucralose may not affect appetite and hunger when used in foods [14, 15]. Dextrin, a soluble fiber, reduces postprandial glucose and insulin levels . It is likely that dextrins reduce glucose absorption through inhibition of the transfer of disaccharidases . Other researchers also reported postprandial glucose reductions with fiber-fortified snack foods. In this study, the addition of a soluble viscous fiber blend consisting of a proprietary fiber blend and the commercially available viscous fiber blend called PGX (PolyGlycopleX, InovoBiologic Inc., Calgary, Canada) reduced the glycemic response in both healthy individuals and participants with type 2 diabetes . In conclusion, the consumption of D-desserts with meal by people with type 2 diabetes either did not increase postprandial levels of glucose, insulin, or C-peptide in comparison with meal consumption or the increase was lower than the increase observed after consumption of the meal with the respective C-dessert. In view of the fact that this was an acute study rather than a long-term trial, these results are only indicative. Further research is needed to demonstrate that these products could constitute an appropriate complement to the diet of type 2 diabetes patients. Disclosure: The authors declare no conflict of interests. Legend: The g per portion is shown in parenthesis under each product. Abbreviations: nr – not reported. Legend: Data are mean ± SD. Analysis of repeated measures was applied to determine p-values using Bonferroni correction at a significance level of 0.05. Comparisons were made between meal plus C-milk dessert and meal only or between meal plus D-milk dessert and meal only at the specified timepoints. Legend: Data are mean ± SD. Analysis of repeated measures was applied to determine p-values using Bonferroni correction at a significance level of 0.05. Comparisons are made between meal plus C-chocolate and meal only or between meal plus D-chocolate and meal only at the specified timepoints. Legend: Data are mean ± SD. Analysis of repeated measures was applied to determine p-values using Bonferroni correction at a significance level of 0.05. Comparisons are made between meal plus C-cake and meal only or between meal plus D-cake and meal only at the specified timepoints. Legend: Data are mean ± SD. Analysis of repeated measures was applied to determine p-values using Bonferroni correction at a significance level of 0.05. Comparisons are made between meal plus C-strawberry jelly and meal only or between meal plus D-strawberry jelly and meal only at the specified timepoints. Legend: Data are mean ± SD. Analysis of repeated measures was applied to determine p-values using Bonferroni correction at a significance level of 0.05. Comparisons are made between meal plus C-millefeuille and meal only or between meal plus D-millefeuille and meal only at the specified timepoints. Legend: Data are mean ± SD. Analysis of repeated measures was applied to determine p-values using Bonferroni correction at a significance level of 0.05. Comparisons are made between meal plus C-pastry cream and meal only or between meal plus D-pastry cream and meal only at the specified timepoints. Legend: Data are mean ± SD. Analysis of repeated measures was applied to determine p-values using Bonferroni correction at a significance level of 0.05. Comparisons are made between meal plus C-crème caramel and meal only or between meal plus D-crème caramel and meal only at the specified timepoints. Acknowledgments: The study was supported by a research grant from the nutritional products company Jotis SA.